With the Olympics off to a flying start, the entire world is captivated with the almost super-human athletic achievements on display. But what many spectators don't realize is the advanced technology behind every event they watch. The Olympics are a unique event where tech companies can come and take full advantage of their new and improved technology on a global scale. And at the 2016 Rio Olympic Games, that includes incredibly impressive advancements in cloud computing. 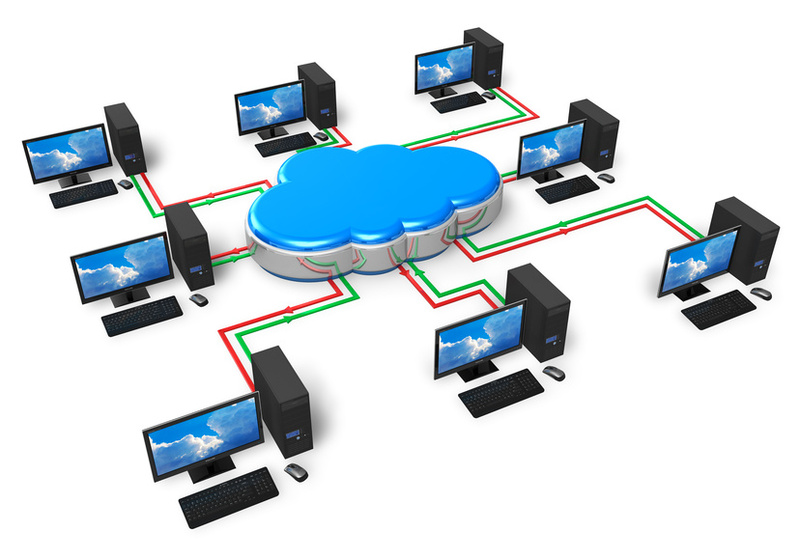 Cloud computing, the act of using a cloud based network to store data remotely, is no stranger to the Olympics. The 1980 Lake Placid Winter games were the first to use minicomputers, portable terminals, and PC-esque intelligent terminals to develop a customized scoring software. Overall, the goal was to streamline the scoring process for the judges, reducing the risk of biased scoring. Before Lake Placid, this network of computers, along with the IT support firms behind them, were so expensive that the International Olympic Committee (IOC) could only afford one. Fencing: touches between the foils are detected electronically, and use a Wi-Fi service to report the touches to the judges. Taekwondo: Fighter's points are determined by using magnetized socks and impact sensors in body pads and helmets. Volleyball: this sport is introducing replay review for the first time in the history of the Olympics. Swimming: Waterproof screens at the bottom of the pool allow distance swimmers to account for their laps. We can only hope they have a data backup disaster recovery solutions in place in case of a crash! Rowing and Canoeing: GPS locators are installed in the boats and oars so the spectators can track the races publicly. Archery: Scoring is now done electronically with help from sensors built into the targets. In addition, the athletes will be wearing a heart monitor that will display their vitals for spectators to watch. Opening and closing ceremonies: The IOS will be using virtual reality to broadcast high-definition images of the opening and closing ceremonies. The spectators will need specialty virtual reality glasses to see the broadcasts, but the goal is to make them feel as if they are in the middle of the event. All in all, the Olympics are setting the stage for businesses everywhere that are interested in using a cloud based network. Currently, 82% of enterprises have a hybrid cloud strategy, and even though a full 88% of organizations are using the public cloud at the moment, cloud computing is only expected to grow. Experts believe that by 2018, more than 60% of all businesses will have at least half of their infrastructure on cloud-based platforms. It seems as if everywhere we look, there are new security hacks and breaches happening all over the digital landscape. No one seems to be safe, and even large retail powerhouses like Michael's, Target, and Home Depot have recently fallen victim to hackers. Unfortunately, cyber hacks are not limited to only big businesses. Considering the fact that in 2013, there was an average of 82,000 new malware threats per day, small companies can just as easily fall victim to online sleuths. In fact, because these mom and pop operations have lower security, they often make attractive soft targets for cyber criminals. So in order for you to stay as aware of malware as possible, here are three things you should know about cyber security protection. Simply put, a hacker cannot steal what you do not have. This means keeping your data to a bare minimum, as the higher volume of data you keep online the more you are susceptible to a hack. Do not collect sensitive data that you do not need in order to protect not only yourself but your clients. You still have to protect the data you do choose to keep, so it is important you take proactive steps to defend yourself against hackers. This includes simple things like using a strong password, changing your password frequently, using eight characters or more, along with an uppercase letter thrown into the mix. Do not go basic just because it may be easy to remember! In fact, two million Adobe users reported using '12345678' as their password, so one moment of being lazy can potentially cause a lot of headaches down the line. Additionally, be wary of who you let handle your security features. Only allow this privilege to more experienced employees, or set benchmarks where an employee can only access data they require to do their job. If you aren't sure what big steps you need to take, then it may be time to invest in a professional cyber security assessment. Cyber security doesn't have to be hard. It all starts with basic precautions to protect your data, including keeping your WiFi password private, having regular network security assessments, installing a firewall, and investing in a quality backup disaster recovery solution with a qualified IT support company. Just keep these tips in mind, and you will keep the hackers at bay! When you think of the two simple words "Pokemon Go," you may be thinking of millennials running the streets late at night, driving their cars into trees, and spending more time on their phones in order to catch them all. But what many don't know is that Pokemon Go is more than just an average mobile application, but more of a technology phenomenon. And depending on how you feel about Pokemon and millennials, it's a harbinger of things to come. 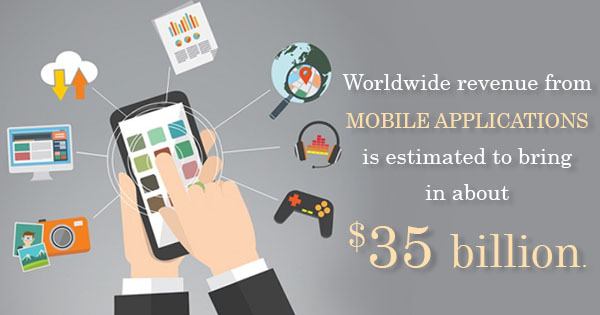 Worldwide revenue from mobile applications is estimated to bring in about $35 billion, a number that has surely grown since the July 7 release of the game. Even though as of June 2014 there were 75 billion mobile apps downloaded from the Apple store, Pokemon Go boasts an incredible 75 million downloads in less than a month. One week after its launch, it surpassed Twitter in amount of daily users, Tinder for daily installations, and Facebook for average daily engagement by mobile phone users. And it is all thanks to cloud computing. In simple terms, Pokemon Go creates an augmented reality world where Pokemon characters pop up in real world areas and entice Pokemon trainers to get off the couch and go into their neighborhoods to find them. The technology behind the app comes from Niantic Labs, a brainchild of the technology gurus at Google, Alphabet, Nintendo, and The Pokemon Company. This new company seems to be taking quite a different approach to their cloud based network, rather than developing their own like social media platform Facebook, they are choosing to rent the cloud services from a large, scalable server with locations globally. To get themselves started, Niantic did rely on their Google partner's cloud based network for IT support. This cloud reliance is helping to develop the app as a social media and marketing platform. Because the Pokemon characters are randomly dispersed throughout town, they end up at different businesses, restaurants, even churches. Already, savvy retailers are inserting themselves into the game by purchasing specific animals that pop up at their shop. One pizza place owner said he witnessed a 75% growth in revenue since paying a measly $10 dollars to lure 12 characters to his establishment. This just further confirms Forbes magazine's prediction that four out of five small businesses will soon rely on a cloud based network for efficiency and accessibility. Overall, Pokemon Go brings interactive web development right into the hands of users worldwide. It also shows how cloud computing is changing our lives in surprising, Pokemon-related ways. The application will only grow from here, so ask yourself will you be able to catch them all? In 2013, there were approximately 82,000 malware threats per day, and the numbers have only grown since then. Viruses and malware on computers and other electronic devices can not only be detrimental to the device itself, they can worm their way through a whole network. If you're concerned about viruses on your devices, there are a few simple ways you can avoid them. Here are five tips to help you keep your electronic devices safe! According to a recent report, over 20% of malware ever created was during the year 2013. But just as malware and viruses have evolved, so have antivirus web services. Pro-grade antivirus programs update frequently throughout the day, protect against a wider range of threats, and enable custom protective features. Many viruses work by attaching themselves to a drive and automatically installing themselves on any other media connected to that system. As a result, connecting any network drives, external hard disks, or even thumb drives to a system can result in the automatic propagation of such threats. So all of those programs that pop up upon starting your computer? They could be dangerous. Any IT support company will be able to tell you this. If a link looks suspicious, leave it alone. Received a strange notice from your internet or cable provider? Call them before you do anything to ensure that they did, in fact, send the message. If they didn't, send it straight to the trash. Just as your computer can suffer the effects of viruses, so too can your smartphone. As of June 2014, over 75 billion mobile apps had been downloaded from Apple's app store. If the app you want doesn't look credible, report it and do not put it on your phone. If you're running a network of computers, you should contact an IT support firm for regularly scheduled network assessments. These assessments can diagnose issues with your network of devices, as well as help you prevent dangerous situations in the future. Keeping your devices safe should be your top priority. A shocking two million Adobe users employed unsecured passwords, such "123456," among others, which only serves to increase the risk of potential infection. Don't let your devices fall victim to viruses. 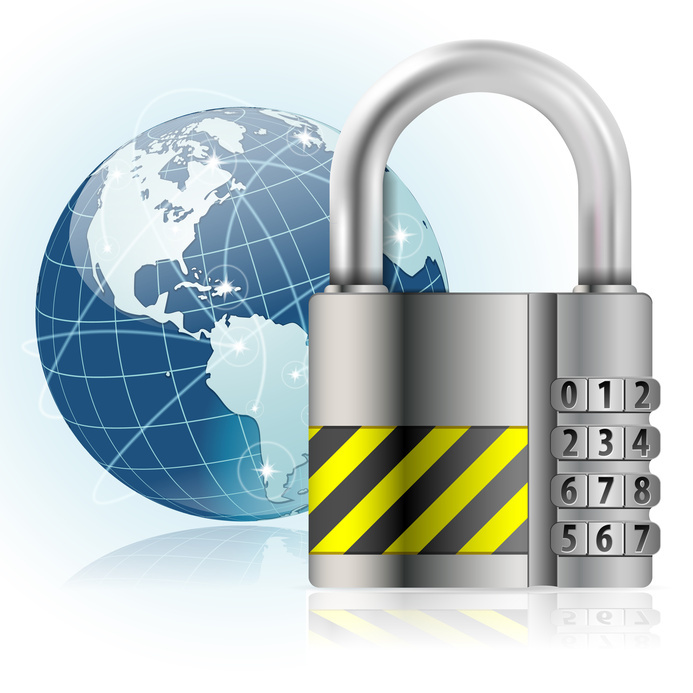 For any business owner, it is imperative to stay safe online. An entire system can be put in jeopardy by one careless user, so it is important to stay up to date when it comes to cyber security protection. Here are some tips that can protect you from cyber threats and help you become more vigilant online. Never trust that you are protected from all threats. Cyber threats are real and will target anything in their path if there is not adequate protection. And while there are many smart steps to take to safeguard your business, no one is ever completely safe online. Malware can be a powerful threat, and can cause you to lose important files and data. And this threat is growing; 20% of all existing malware was created in 2013, with an average of 82,000 threats per day. In case your system gets hacked by a virus, it is important to invest in quality data backup and recovery plans, along with discussing your options with a network disaster recovery planning company. As a rule, your password should have an uppercase letter, a special character, and a number included for extra security. The password should be something unique! Insecure passwords are one of the top culprits for a cyber hack, and in a survey of 38 million Adobe users, nearly two million accounts used the insecure password of 123456. You do not want to have a password that is easy to guess! Generally, you should immediately delete any emails that come through from a sender you do not recognize. If you accidentally open the email, do not click on any attachments or links. Your data can be threatened by infected hard drives, CDs, and even smartphones. Cyber criminals can gain a wealth of information from what you post on social media, including where you are located, or when you are away from the office. You never want to make yourself vulnerable to cyber predators. To ensure you have gone to all the lengths you can when it comes to security online, make sure to talk to a expert and have a cyber security assessment done on your system for your protection. The MVP IT support specialists are experts in security solutions and are able to help you with all of your cyber security needs. Data Backup and Recovery- Why is it Important?